Nearly fifty years after the band called it quits, the mythical, often bootlegged, 30 May 1968 live performance of The Yardbirds at the Anderson Theater in New York City, originally released by Epic Records in 1971 as “Live Yardbirds (Featuring Jimmy Page) finally sees proper reissue as half of the 2 LP or 2 CD set “Yardbirds ’68.” The other half of the release are the fabled, never previously officially released “studio sketches” recorded by the band during the same period, consisting of eight tracks ranging in quality from near finished master takes to bare bone instrumental scratch tracks. As for the tunes themselves, after an introduction, the band breaks into an incredible cover of Tiny Bradshaw’s “Train Kept A Rollin’” a trademark song of the band leftover from the Jeff Beck era Yardbirds. At three minutes, six seconds, little if any editing was necessary compared to the previously available take. Page’s guitar is so crystal clear that it is almost as if he has paid a visit to your living room. 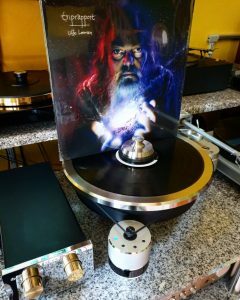 The same is true of Keith Relf’s vocals, while Jim McCarty’s drums are crisp and clean, with Chris Dreja’s bass mixed so incredibly that it is almost imperceptible. Next up, the medley of “Mr. You’re A Better Man Than I”/”Heart Full Of Soul” has been separated, the former, a Mike Hugg cover and the latter, penned by Graham Gouldman, both having undergone minimal editing. Page’s solo on “Mr. You’re A Better Man Than I” screams and the muddied sound of earlier issues is gone. In addition, Page’s wah wah sounds infinitely better as do his power chords. The short, under two minute, “Heart Full Of Soul” features Page’s guitar almost exclusively, his solo, short and snappy, his lead line gorgeously distorted. The editing becomes apparent with “Dazed And Confused,” (retitled from “I’m Confused”) being shortened to six minutes, eight seconds, more than half a minute shorter than the original release. As for the sound, Page’s bowed guitar has never sounded so sweet, his distorted lead line much improved as well. As for the remaining tracks, “My Baby” has a nearly identical run time as the 1971 release, but Page’s guitar, especially his wah wah’s tone is dramatically improved. “Over, Under, Sideways, Down” and “Drinking Muddy Water” have each had twenty seconds or more edited out, yielding tight, compact rockers. Band original “Shapes Of Things” written during the Beck era, has likewise been clipped by about twenty seconds, but Page’s performance is stunning, his wah wah sounding better than ever. Gone from “White Summer” is the introduction stating that the song will prominently feature Page. Running thirty seconds shorter, what remains is an amazing three minute, forty nine second display of Page’s prowess aided by McCarty’s subtle, but steady drum beat. 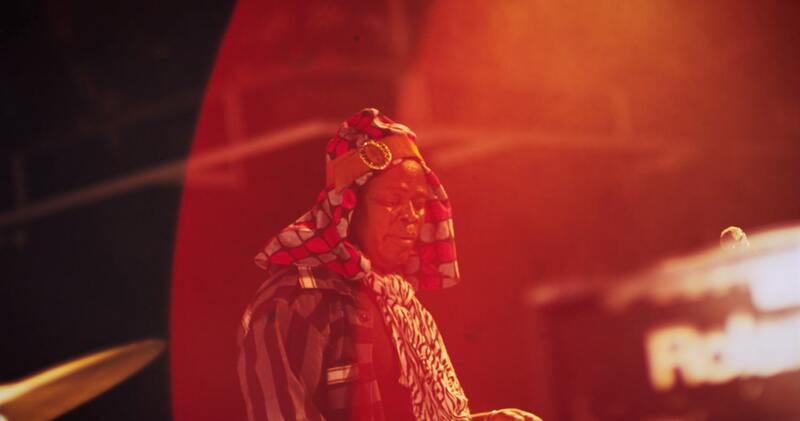 The most drastic edit is in the closing number “I’m A Man” now titled (including Moanin’ and Groanin’) which has a run time of ten minutes, twenty seconds, compared to eleven minutes, fifty nine second version included on the 1971 Epic release. Once again, Page’s guitar is to the fore, his wah wah sounding astoundingly clean. His solo bordering on heavy metal, is a masterpiece. Relf’s vocals have never been so clean, and the band’s rave up on this number is an absolutely perfect show stopper and closer. As with “Dazed And Confused” Page’s bowed guitar comes through incredibly loud and clear. The overall performance, clipped to a run time of about 40 minutes is a magnificent representation of The Yardbirds, Mk. III, and represents an incredible improvement in sound quality. Disc two consists of eight “sketches” of works in progress by The Yardbirds, with a run time of just over less than twenty five minutes, but nonetheless expands on the 1968 studio efforts hinted at on 2000’s unofficial release “Cumular Limit” doubling the number of tracks included. “Avron Knows” one of the tunes included on the 2000 release, features call and response vocals, swirling guitar and a spirited solo by Page. The three minute, fifty second track has a quick, rough finish to its edit, but is a great improvement in sound quality over the earlier issue. 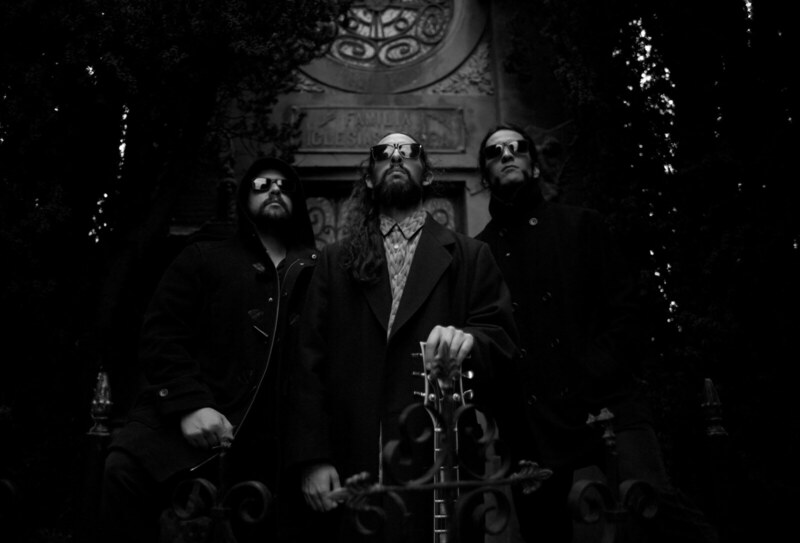 “Spanish Blood” as the title suggests, opens with Spanish guitar and tambourine before settling into a relaxed, demo quality recording with spoken vocals. The flamenco flared finish is pleasant and again sounds much better than the version included on “Cumular Limit.” For reasons unknown to this reviewer, the tune that would become the Led Zeppelin staple “Tangerine” is titled “Knowing That I’m Losing You” on “Yardbirds ’68.” This long anticipated release is a near three minute instrumental take, complete with acoustic guitar and tambourine intro, before the band joins in, with Page’s electric guitar and forty five second solo dominant. A pleasant take, but not exactly a show stopper. The three minute “Taking A Hold On Me” again is presented in much improved sound quality, its heavy riff pushing the blues rock number and Page’s wah wah adding wonderful texture. The song, as presented, sounds ready for release. “Drinking Muddy Water” (Version 2) is presented in demo form, although the guitar and harmonica intro by Page and Relf is tasty, and Page’s solo sounds inspired. The three minute take of “My Baby” is very close to the versions released on “The BBC Sessions” and “Live Yardbirds” A bit mellower, this version still contains an excellent performance by Page, especially his wah wah contribution. “Avron’s Eyes” is presented in excellent demo, guide track quality, complete with vocals by Relf, but is a rough edit, and is definitely a work in progress. The studio half of “Yardbirds ‘68’” concludes with an instrumental, scratch, guide track quality take of “Spanish Blood.” Page’s acoustic guitar is quite pleasant, but unlike the vocal version of this tune, there is no tambourine included. The tune has a very relaxed feel and again is an excellent example of a work in progress and with it, the studio half of this collection draws to a close. 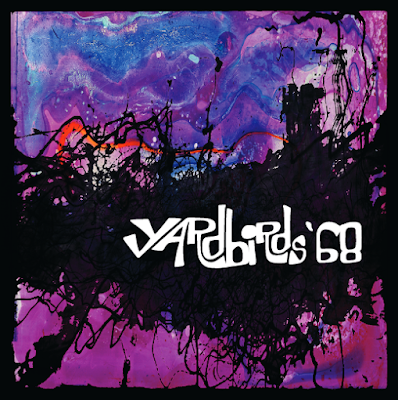 “Yardbirds ‘68’” has both discs housed in a gatefold style, mini-LP sleeve style in the CD version, and includes a 48 page booklet, filled with short essays by band members McCarty, Dreja and Page, tons of gorgeous photos of the band, posters, 1968 tour schedule, front and back cover designs by Page, complete track annotations, and loads of Yardbirds related memorabilia. The two-LP set comes in gatefold style, with an art book containing liner notes by The Yardbirds, presented in 180 gram vinyl and all fitted into a slipcase. As mentioned, the tracks were produced by Jimmy Page, mixed by Drew Griffiths and mastered by John Davis. A wonderful package all around, “Yardbirds ’68’” certainly is mandatory for all Yardbirds fans and fans of mod rock in general. It's good the classics are being featured more on the site. Gonna check this one out. I have done comparisons with the 1971 album version and I did not hear any edits in any of the songs as far as musical content but Keith's in between song talking has been edited out, which probably explains the timing differences between the new release and the original vinyl. This release actually restores the first verse of Dazed And Confused which had been clipped out of the original 1971 vinyl release. Sorry to disappoint you mate but while "they" (i.e. Page) left in the first verse, he did edit out the THIRD verse in D & C - plus three pieces in "I'm A Man" (one short Over uinder Sideways Down quote, a 1:21 min. long bit with Keith ad-libbing and the coda)! Grrrr! I believe the recording date was March 30, 1968. For fans of the Page era Yardbirds, this date is almost treated as a "holiday." Perhaps you should correct the date in your review. It is important to keep the facts straight and not have poor copy editing in an otherwise well written review. I love this but I think some of the edits lose, a smidgeon. Definite Buy: I rate this as superior to ANY of Cream's stuff and that leaves Hendrix....no point comparing peak Page and peak Hendrix; I cherish both. Mind you, Distance Runner Beck stayed/s the longer course. Seem him if you can, the man's a genius. Only 60's player who is getting EVEN BETTET!